Sterling Vikrell Bathtub Reviews 2019 - Comfortable and Stylish Bathtubs! / Sterling Vikrell Bathtub Reviews 2019 – Comfortable and Stylish Bathtubs! Sterling Vikrell Bathtub Reviews 2019 – Comfortable and Stylish Bathtubs! Last Updated: March 24th 2019: The bathroom is one of the most important rooms in the house, seriously think about it, how long do we spend in there each and every single day. Plus it’s got a really useful purpose…. Getting clean! Having a long soak or a relaxing shower at the end of the day is the last bit of freedom that a lot of us see in our increasingly busy lives and we need to make the most of it. In this Sterling Vikrell Bathtub reviews guide you will learn all about the quality of these bathtubs and some reviews! The bath is of course at the heart of the bathroom (duh, it’s in the name). Baths are more than just ceramic and taps, they’re where you come to escape the troubles of life. You can lean back in the hot water and really let go. This isn’t something any of us should take for granted, it really does matter. So for our relaxation needs we need the right bathtub. It’s of course a mixture of preference and necessity depending on shape and budget but one of the most common varieties at the moment in a Vikrell tub. 2 What Are Vikrell Bathtubs? 6.0.1 Get the Lowest Price on Amazon.com! Sterling Plumbing have been operating for over 100 years and were founded in 1907. In this long history they’ve survived several depressions and economic downturns by sticking to what they know and giving the customer what they wanted. In 1984 they were acquired by another heavyweight in the industry, Kohler who have transformed Sterling into an impressive global brand with products in homes all around. The Sterling line includes pieces for all elements of the bathroom and beyond. They offer sinks, toilets, showers and other accessories. They even have DIY help sections so everyone can take it into their own hands in their own home with the help of their shower pans. Their speciality has always been in bathtubs and they have a really comprehensive selection available online. Each of their products has been designed with the customer in mind by their in house specialists. They have a number of unique features incorporated into their products which aren’t available with other brands. Their cleancoat technology is used across their product selection. This offers increased protection to their bathroom goods and makes them much easier to maintain and clean. This and other features is what has helped Sterling remain one of the top manufacturers. It’s no wonder the Sterling name is so respected. For those who haven’t come across them before, a Vikrell bath rub is a specific brand of bath tub which is made from polyresin and fibreglass. These poly composite bathtubs are becoming more common in homes across the world and have a number of benefits. 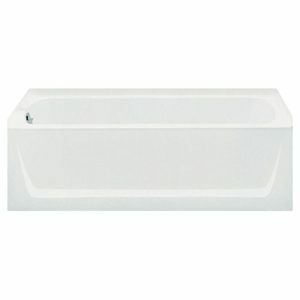 Vikrell bathtubs are reasonably inexpensive compared to some other materials. They’re also lighter and much easier to install. This makes them perfect for those who might have a more limited budget and don’t want to break the bank. If you are looking for a cleaner that will keep your bathtub sparkling clean then check out our bath tub cleaner review! Vikrell tubs are also built to last and can be used regularly for up to 10 years before they need to be replaced. Again this means savings in the long run for you. Vikrell tubs are designed in a number of different ways so you can customise your model and get some excellent value. It’s no wonder they’re so popular. Below you will find 3 reviews of our favorite Sterling Vikrell bathtubs! 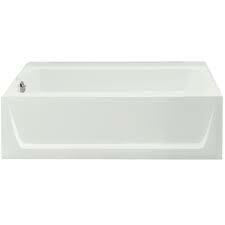 The Sterling All Pro Bathtub is a classic white bathtub that is perfect for both modern and traditional homes. It’s 60 by 30 inches which leaves plenty of room for you to lie back and relax with no cramped feel. The design is fairly basic, but still stylish in a classic way. The Sterling All Pro Bathtub might seem like any other unit but a lot of smaller details help it stand out from the crowd. It’s lightly textured and features an all gloss finish. This helps protect the outer layer from any scratching or marking that might occur. Sterling have chosen to keep their production within the U.S and not outsource for cheap labour. 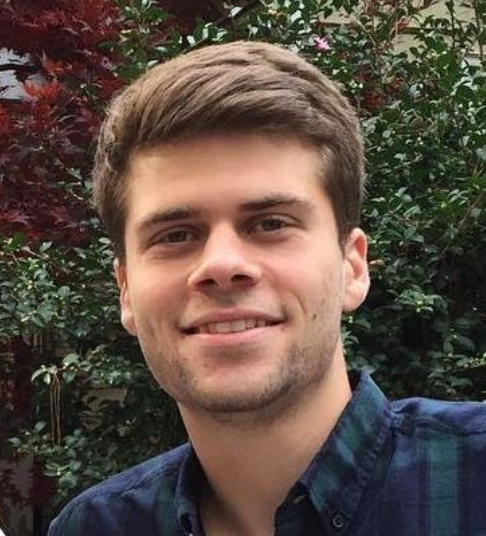 This is a big plus in this industry as a lot of companies that outsource saw a big dip in quality. By keeping a close eye on the production at home they can ensure the reliability of their product. Sterling put their expertise into each product combined with some durable materials. This helps increase the lifespan on the bathtub so you won’t need to replace it any time soon. 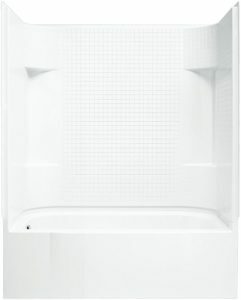 This bathtub fits with any standard fit plumbing so you can easily install it in your bathroom. Always look at the specs before purchase and make sure your bathroom has space. The Sterling All Pro Bathtub works in all bathroom because it has a more reserved style. It isn’t too outlandish so it can work with all existing decor. It’s easy to fit and a great value piece that simply works. The Sterling Ensemble Bathtub is all about luxury and relaxation. Exactly what you need from a bath. It’s extra deep with dimensions of 60 inch by 32 inch by 18 inches. Again this bath is made in a classic white which works in practically any bathroom so if you’re worried about your bathtub clashing then it won’t. This bathtub has an indented front which gives it a different look to other models. The deep well means you’ll have more space than you need. Despite the extra space the installation is still fairly simple as the unit is lightweight and transportable. Strength is built into this unit with solid construction. The joints aren’t visible as it forms together as one unit. It can stand up to heavy wear and tear and easily support the weight of any user. Made to stand the test of time this bathtub is made more durable with a gloss finish. This finish provides a smooth surface which makes cleaning very simple and makes it very difficult to stain, dent or scratch the materials. This bathtub features built in armrests so you really can sit back and relax. Bathing is all about that luxurious relaxation and now that can become a reality. Solid construction combined with luxurious comfort brings together the best of both worlds. The Sterling Ensemble Bathtub is suitable for every home and is perfect for those who need that extra level of comfort at home. Overall if you are looking for a tub that is truly extremely comfortable and stylish enough for nearly any home, then I hope this Sterling ensemble tub review helped to sway your vote! Sterling have brought together old school and new thinking with their hybrid shower and bath. Their innovative designers have merged the easy clean of a shower with the relaxation of the bathtub with the best of both worlds. This unit has all the same durability as the other Vikrell models with the quality materials being used to ensure a longer lifespan. A modular design is used to allow for easy installation though you may still need to contact a professional for their services. There’s a 15 inch apron and realistic tiling on the base of the unit. This too is in white so that it can be used in the majority of homes. Smart and inspired design choices have made this multi purpose Sterling Accord one of the best choices for those who love showering or bathing. The innovation allows traditional to meet contemporary. 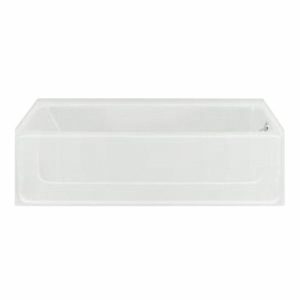 Storage is built into this model so you can store any toiletries and maximise any bathroom space. This use of a space is an asset to your bathroom. The good looking unit stands the test of time with solid materials and a gloss finish that protects from wear and tear. Intelligent design is definitely the theme of the Accord. It’s been made to maximise your space but not skimp on any comfort while you’re relaxing. Get the most of a bath and a shower with the unique Sterling Accord bathtub. Vikrell style bathtubs are so popular because they really are for everyone. Sterling has applied their skill to make these Vikrell bathtubs more than a lot of the competition. They understand what’s important to you and for you to have in a bathtub. If you are looking for a shower enclosure, then look at Vigo! If you’re looking for a new bathtub all three of these models have some solid features. They offer well made construction and quality materials to keep the standard high. They all offer some great value and are definitely worth checking out.